I’m all sorted! Christmas shopping = done. Pedicure = done. Haircut = done. Half leg and bikini wax = done. Spray tan = this afternoon. I’ve never understood the phenomenon behind being hair-free and perfectly coifed for Christmas day, and this year, I’m no exception. We’re spending December 25th on the beach, so if there’s any chance of my swimsuit coming out, I need to be waxed. I am a hair-bear. I was also due for my six-weekly haircut, so if I didn’t get that done this week, I would have to wait ‘til New Year. I’m sending special love to all the hairdressers and beauticians this time of year – I know how hard you all work to get us ready for Santa. I’ve been there. When I had my waxing salon, the week before Christmas was absolute mayhem! Thirteen-hour days, one client after another, no breaks and on your feet all day. Simply exhausting! 2012 has been a crazy, rollercoaster year for me. I launched my book in April after spending the previous five years writing, learning how to self-publish and bringing the whole book to life. My design team, my editing crew and my loyal family and friends helped me pull it all together and I am eternally grateful to all of them. Mikey, in particular, has been the most amazing, supportive and loving husband. I don’t know what I would do without this wonderful man by my side. After the book launch, I went straight into marketing and working with my fabulous PR guru-ess. My background is in advertising and marketing, but somehow when it’s your own product, it’s different. Your heart and soul, blood, sweat and tears are in every page and dealing with the media isn’t easy. People either love or hate what you have to offer and I’ve had to toughen my skin. I’ve encountered some incredibly rude people this year, but what makes up for it is the awesome new people who have entered my life. The feedback from the book has been overwhelming. In small ways I have changed peoples lives, and that, to me, is the ultimate reward. I can’t thank you all enough for your support, your encouragement and your words of wisdom. I am truly blessed. It’s now time to take a little break. Daycare is closing down for summer holidays, and we’ve decided to start renovating our house. I’m going to be a full-time mum and project manager in one. I’ll let you know how I get on. I’m wishing you all festivus fabulousness and a spoonful of craziness for 2013. My thoughts go to all the people who have been affected by natural disasters, or have lost loved ones to crazed, not-worth-mentioning, gunman. Peace and beautiful angels to you all. I have a very dark, hairy upper lip. I was mortified of course, and this was the start of my long love affair with wax. I usually wax once a fortnight, but if there’s a chance of another human being getting in close proximity to my face, I will add an additional wax to my fortnightly regime. I’m the kind of girl who waxes her bikini line in preparation for a pap smear – please, don’t judge me. So yesterday was one of those days where I knew another individual was going to be getting up close and personal. I was having an EEG, which is a test used to detect electrical activity in the brain. It involves sticking loads of small electrodes to your freshly washed head and a slightly larger electrode to your chest. Long story, which I am sure to blog about at a later date. Now if you’re a parent, an aunt, a nanny or someone who cares for children, you will be very familiar with Hairy MacLary from Donaldson’s Dairy. For those of you not so familiar with this well loved book, it’s the story of a black, shaggy-haired dog strolling the dairy with his doggy friends, Schnitzel von Krumm, Muffin McLay, Bottomley Potts and Hercules Morse. They run into a cat and, well, I don’t want to spoil the plot, but you know how mean cats can be (sorry cat lovers!). Airtasker, a website that connects people seeking to outsource tasks, is offering ladies an opportunity to hire a man to grow a mo for Movember. Brilliant! If I didn’t already have my own mo going on, I would seriously consider taking up this offer. Perhaps next year I’ll have people sponsor me NOT to wax for a month? Outsourcing hair growth – I’m always amazed at what internet people are willing to do for others. 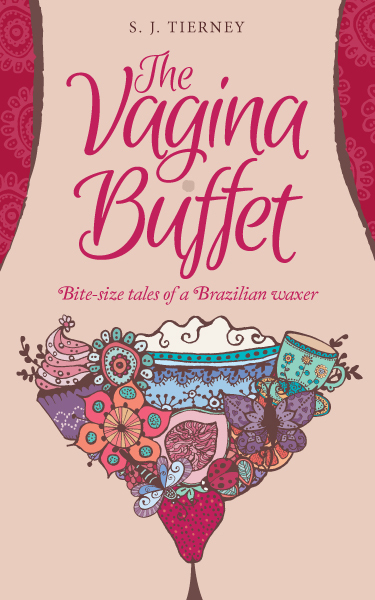 A sneak peek into a Brazilian waxing salon with Pamela Adlon... enjoy! All I want for Christmas is to be fur-free! Are you the type of person that absolutely must be waxed before Christmas day?